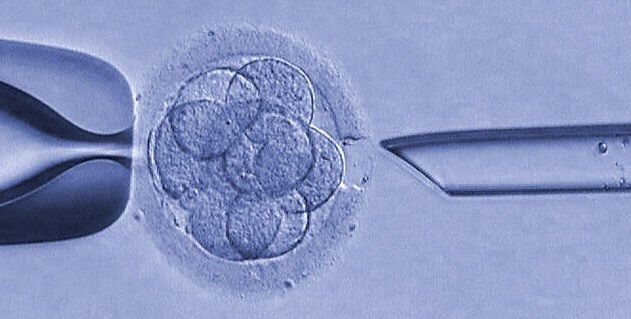 Test description: PGD is a diagnostic test performed on embryos to identify single gene disorder/ chromosomal abnormalities before implantation. PGD is used to test for a specific monogenic disorder and avoid the passing of the genetic disease to the offspring. The main advantage is that it avoids selective pregnancy termination as this method makes it likely that the embryo transferred will be free of the disease under consideration. Fig. Sequencing result of trophectoderm biopsy with c.500G>A (heterozygous, arrow indicated). Whole genome amplified DNA was subjected to PCR amplification for targeted analysis of exon 5 of the PHEX (phosphate regulating endopeptidase homolog, X-linked) gene. Test description: PGS is a screening test performed on embryos to identify chromosomal abnormalities. PGS is performed using array comparative genomic hybridization (aCGH) technology, all of the chromosomes in a single cell will be checked to determine any gain or loss of each arm of all chromosomes. It is suggested that the prevalence of aneuploidy rose steadily with age (Fertility and Sterility; 2014: vol 101:656-663), which will result in implantation failure, recurrent miscarriage and abnormal pregnancy. Fig. ArrayCGH result of blastomere biopsy consistent with trisomy 11 (aneuploidy, arrow indicated).